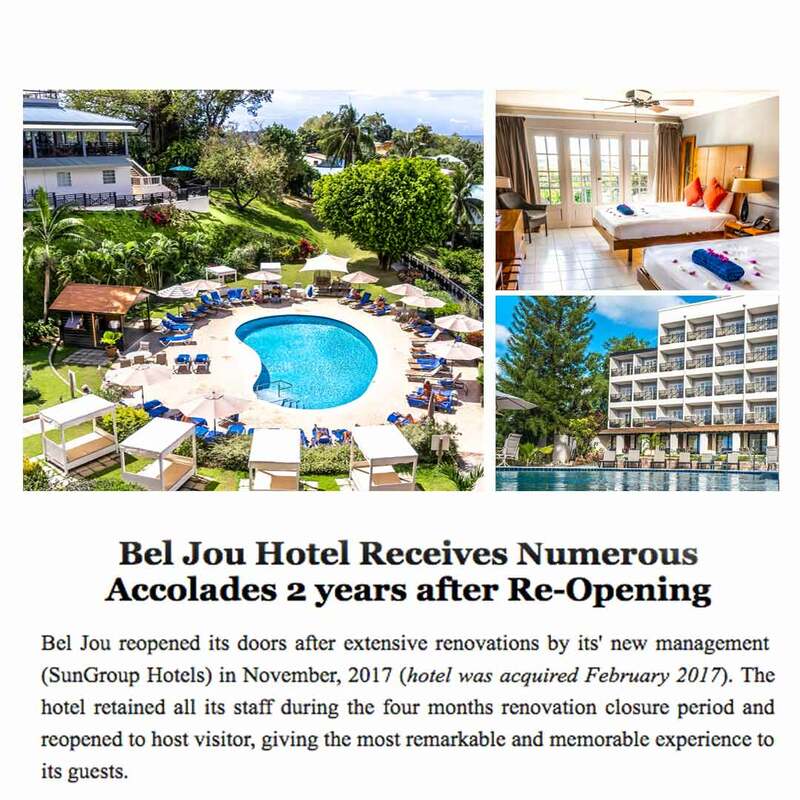 Bel Jou Hotel is honoured to be recognized by the St. Lucia Hotel and Tourism Association for the many awards it has received since reopening two years ago. The Staff and Bel Jou work very hard to make sure every guest has an amazing experience with us so we are always delighted to receive customer satisfaction awards. Read the whole article here!